If I were a distinguished novelist offered a choice of Shakespeare’s plays to adapt into a novel, The Taming of the Shrew would not be at the top of my list. First, there’ve been enough memorable film adaptations (the Taylor/Burton version, Kiss Me Kate, 10 Things I Hate About You) that I’d be worried about finding some elbow room. Then there’s the play itself—rough around the edges with an odd framing device. And good lord, the misogyny! Could it be tamed? Should it? 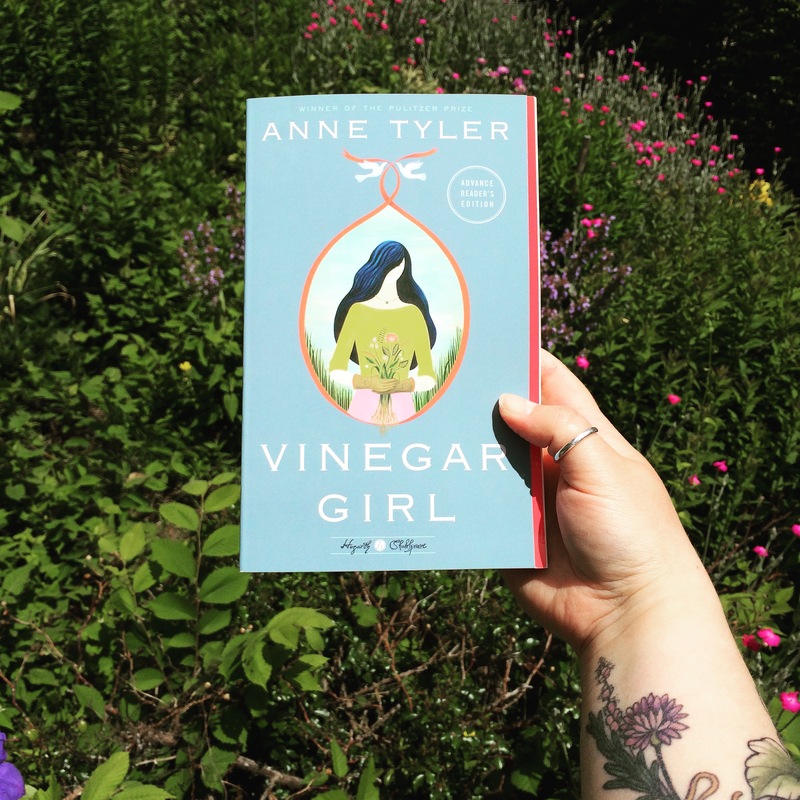 In Vinegar Girl*, Anne Tyler transforms Shakespeare’s rollicking, occasionally revolting play into a genteel romantic comedy that would make a surprising good vehicle for, say, Sandra Bullock about fifteen years ago. Or Mila Kunis, come to think of it. Kate Battista is twenty-nine. She lives with her father, an odd but brilliant researcher of autoimmune disorders, and her fifteen-year-old sister Bunny, an occasionally perceptive standard-issue teenage narcissist (going through a vegetarian phase, oy). Kate works at a preschool, where her total honesty makes her a favorite with the four-year-olds she minds, but not with the staff or the parents. She’s quite intelligent and talented with plants, but after an altercation with a botany professor (she said “his explanation of photosynthesis was ‘half-assed'”), she was essentially expelled from college. Since Bianca and her father needed Kate’s help at home—her mother having died, as mothers in these sorts of stories ought to do, it always seems—she moved back in, and now she drifts in place, like slightly surly kelp. Though she generally accepts her father’s eccentricities—the nutrient-dense mash that makes up almost all their family dinners is unforgettable—Kate finds his sudden desire and pathetic attempts to bring her in close proximity to his Russian assistant, Pyotr, rather annoying. And once she realizes what the pair are after—a green card—amusement turns to alarm. Ms. Tyler nixes the original’s subplot involving Bunny’s many suitors (there’s just one, an erstwhile Spanish tutor); instead, the focus is almost entirely on Kate. What does she expect of herself, and what does her family expect of her? The book asks us: What do we expect from women as caretakers? Why do we treat single women differently from married women? What does it take to get out of a years-long rut? As such, I think Vinegar Girl treats the open question of The Taming of the Shrew (how ought men and women live in relation to each other, with respect to marriage?) as settled; Ms. Tyler (and I sincerely hope, the rest of us) are firmly in favor of abuse-free egalitarian relationships in which spouses support each other. That doesn’t mean there isn’t plenty of drama before the nuptials, or that Kate and Pyotr don’t perplex each other, though. They have quite a time muddling through each other’s defenses and ingrained habits; it’s a treat to watch them spar with each other. Particularly funny are Pyotr’s adages, which never quite work in translation (“Work when it is divided into segments is shorter total period of time than work when it is all together in one unit.”) and his spot-on assessments of American speech patterns. Vinegar Girl is the second Hogarth Shakespeare adaptation I’ve read. The first was Jeannette Winterson’s take on The Winter’s Tale, The Gap of Time, and I love how different the two novelizations are, how remarkably distinct in approach. Vinegar Girl is an enjoyable, light comedy that asks serious questions. Recommended. Have you read any Shakespeare adaptations lately? And what’s your favorite Anne Tyler novel? I’ve read (or at least tried to read — the Jacobson defeated me) all 3 Hogarth Shakespeare adaptations, and this was my favorite. I see you have Hagseed too. I’m eager for that one! I’ve only read 4 Tyler novels so far, but this was a close second favorite after The Accidental Tourist. 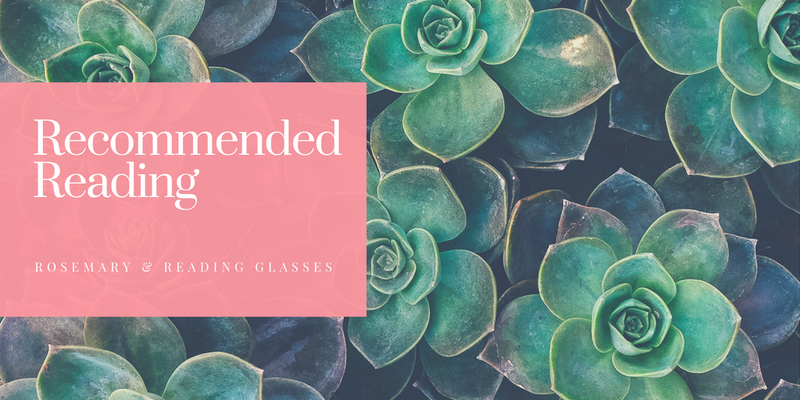 My uncle just recommended The Accidental Tourist, so I’m putting it on my mental TBR! I have avoided the Jacobson on Elle’s advice . . . but so excited for Atwood! This has been on my reading list for a while. Glad to hear you enjoyed it! I’ve only read one Anne Tyler novel so far — A Spool of Blue Thread, which was a pleasant light read. Thanks for the recommendation, Grace! The only Anne Tyler I’ve read was a long time ago, but I do own a couple of them. I’ve never felt like her books are a must-read for me, but I don’t know why. Tyler’s books are very gentle. I also find that they can feel dated. But they are quite enjoyable. I had almost written this one off based on some unfavorable reviews, but after a trusted friend “persuasively” advised me to not only read it…but purchase it, I bought a UK edition. I should arrive some time this week. So excited! I hope you’ll like it! And thank you for reading! When I was young, I read so many books where the mom died (how best to make a strong female character, I guess) that my mother became very concerned and started trying to control what I was reading. That is hilarious. I may have to steal that for a story, if you don’t mind. I think the last retelling I read was Alexi Zentner’s The Lobster Kings (King Lear), which I absolutely loved. I still think back to a couple of scenes in there! This retelling of Anne Tyler’s is on my TBR though, and the new Hogarth retellings in general. But Anne Tyler has been a favourite of mine for years, largely because she makes the ordinary seem so awesome. Perhaps because it was my first, The Accidental Tourist seems like my favourite. But I really liked the more recent ones I’ve read too (Noah’s Compass, Digging to America, etc.). It’s simply her sensibility that I appreciate I think. Also, I love the idea of her characters reappearing cross-narrative. That’s a favourite thing of mine. I liked the Lobster Kings too! And I interviewed Alexi Zenter too (it’s in the site archives if you want to read it). Thank you for the Anne Tyler recommendations! Thanks for mentioning it! I loved this part: “Fiction isn’t about the facts so much as it is about the truth, and I wanted to give a person, a family, an island, that felt real, and to do that, I had to base it in the truth but also imagine it fully.” Still haven’t decided whethet to give his latest a try…. I liked this one, too, although you found more depth in it than I did. I felt it was pretty slight. I haven’t read the other Hogarth adaptation. I guess that would be something to try, but I’d have to read The Winter’s Tale again first. I think I haven’t read it since 1972! Yes, I think The Gap of Time would work better if you were fairly familiar with the play. I can’t remember if you’ve read it already, but I highly recommend A Spool of Blue Thread. I haven’t read it–this was my first Anne Tyler! It’s not very representative of her work, I don’t think.